Governor General’s Award: What Will Rush Spend Their $25,000 Each On? 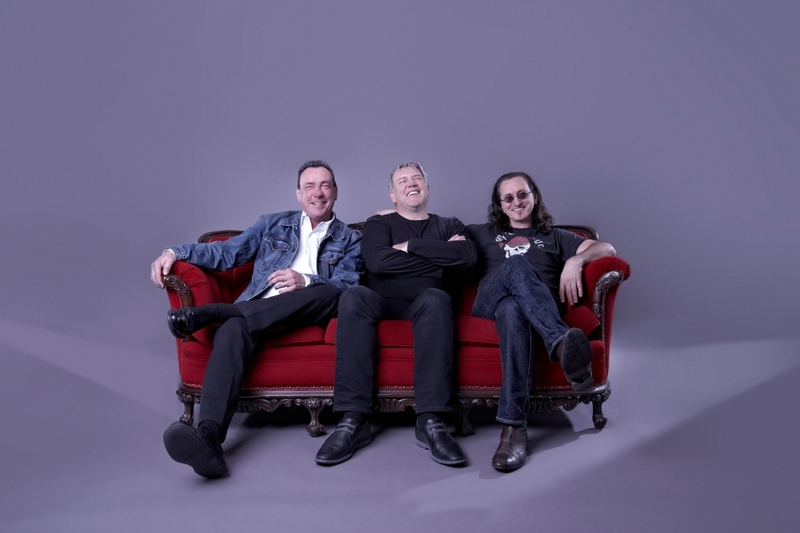 Alex, Geddy, and Neil each have a cool $25,000 to spend as recipients of this year’s Governor General’s Performing Arts Awards for Lifetime Artistic Achievement in Canada. The awards presented March 6 go to artists whose accomplishments have inspired and enriched the cultural life of Canada and are billed as the ultimate recognition in the country’s performing arts. It’s a little like receiving the Kennedy Center Honors here in the United States. Rush was recognized for the success and inspirational character of their 40-year career. They each received an awesome commemorative medallion struck by the Royal Canadian Mint and a cool $25,000 in cash from the Canada Council for the Arts. So, what are they each going to spend their $25,000 on? Frrrozen Haute Chocolate. I don’t know which one likes ice cream the most, but one of them could buy a frozen, slushy mix of cocoas from 14 countries, milk, and 5 grams of 24-carat gold, topped with whip cream and shavings from a La Madeline au Truffle. For $25,000 a pop, I hope they get to keep the bowl. Hugh Hefner Sky Villa at the Palms Casino & Resort, Las Vegas. This costs $40,000 a night, so two of them would have to pool their award money to spend the night here. The good news is they still have another $10,000 left over, which probably will buy a lot of drinks. And if the third one kicks in his $25,000, they have some gambling money. 4 wheels of an Aston Martin DB4 GT. The car costs about $2 million, so I think $25,000 will probably get one of them the wheels. Neil’s a car buff, so he would be the likely buyer, although I think he already has an Aston Martin. In any case, if he can get the other two to kick in their awards, he might be able to get the steering wheel and the two front seats as well. 250 tickets for upcoming Clockwork Angels concert. You can get good seats for $100 each. The Oct. 28 show in Cleveland at Quicken Loans Arena looks like a good one. Of course, they’ll already be there, so the tickets won’t help them much, but they could give some away. ~ by rvkeeper on May 6, 2012.